Payroll taxes are an important part of the employee pay process in virtually all proper jobs. So, what are these taxes, and what exactly are they used for? Here are the basics on payroll taxation today. All legal-aged workers in the United States are legally bound to contribute to the treasury of the US. This contribution has varied in form and amount over the years, but essentially, you can refer to such monetary contributions as “taxes.” So as to simplify and also assure their collection, employers are then legally required to capture those taxes immediately from the employee’s earned wages. This is called automatic garnishment. Once garnished, or collected, the funds are sent by the employer to the proper government collection points. So, what exactly are the types of taxes automatically garnished from workers’ wages today? “FICA taxes” are those taxes owed due to the Federal Insurance Contributions tax act. This law, the FICA Law as it’s commonly known, essentially made it so that the funding of the valuable programs, Social Security and Medicare, would come largely from income-earning, taxpaying citizens. As a result, one can look to their pay stub or other pay records and surely find pay deductions attributed to these two programs. While each year reflects subtle adjustments to the rate at which these taxes are applied to all workers, recent numbers held at a rate of 12.4% in Social Security withholdings from the first $118,500 earned. If the worker is self-employed, they must pay this entire amount. If they are employed by an outside employer, each split this due at a rate of 6.2% of that worker’s earnings. As far as Medicare withholdings under FICA Law, recent numbers held at a 2.9% rate of tax duty. This is also split between the employer and employee if the income stems from such employment. If the earner is self-employed, again, they will then owe the entire 2.9% of Medicare taxes from their income. A few other types of taxes are levied on the American earner in addition to the FICA applications discussed above. These other types of payroll taxes come in the form of local, state, and federal withholdings. The legally-ordained percentages of these withholdings also vary with time but are also based, at all times, on the earner’s income. High earners will be taxed more while low earners are taxed to much less an extent. Per these taxes’ names, they are ultimately aimed at providing each citizen’s common dues to services offered by the local, state, and federal levels of government. It’s important to also differentiate additional withholdings from the necessities of basic payroll taxation. Many employees are also automatically garnished in the form of additional types of withholdings. These can come in the form of child support, legal obligations, and more. These are not considered taxes of any sort. They are simply additional withholdings attached to the earner’s income. They will, however, be listed alongside actual payroll tax deductions in the earner’s regular cumulative report on earnings and deductions that normally comes with each pay cycle. Like them or not, taxes are an absolute necessity in the modern world. These are the basics of payroll taxation in particular. 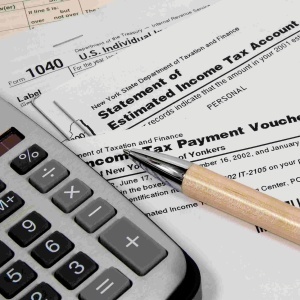 For even more information on payroll taxes and the like, the Internal Revenue Service, or IRS, is the ultimate government resource on this matter.